The best way to read illustrated ebooks? For multi-device users, amazon's free kindle app is nice. You can buy a book once and view the same book (including your personal bookmarks and notes) on PC, Mac, ios, android, and more. My only complaint here is that, unlike kindle for tablets and phones, kindle on PC or Mac does not let you double click one of the book's illustrations in order to enlarge it. Apple's free ibooks app solves this problem with consistent image viewing in IOS and Mac: double tap or double click. In addition, the ibook store delivers to ipads an ipad-optimized version. For purchased books, ibooks synchronizes notes and bookmarks across all of your devices that have ibooks installed. I don't think ibooks will run on a PC, although in principle the itunes app will allow you to read an ibook that you purchased. On a Mac, the single-column button is the same and the full-screen button is Shift-Comm-F on the keyboard. 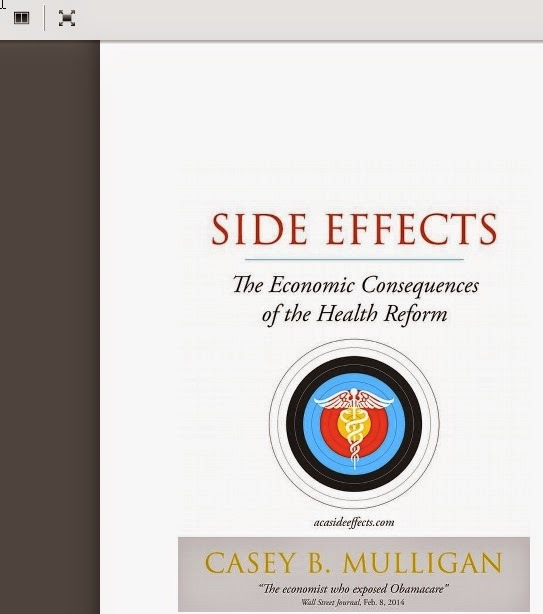 Fortunately, Side Effects is so cheap that you might as well buy it twice: one from amazon and another from apple ibooks! Another approach is to closely examine my charts and data using the excel webapp on your PC or Mac. Browse or buy the book now! 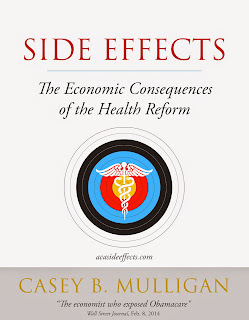 Check acasideeffects.com in early September for numerous extras and bonus features.